For many, Tanzania may be the most well-known country in Africa. 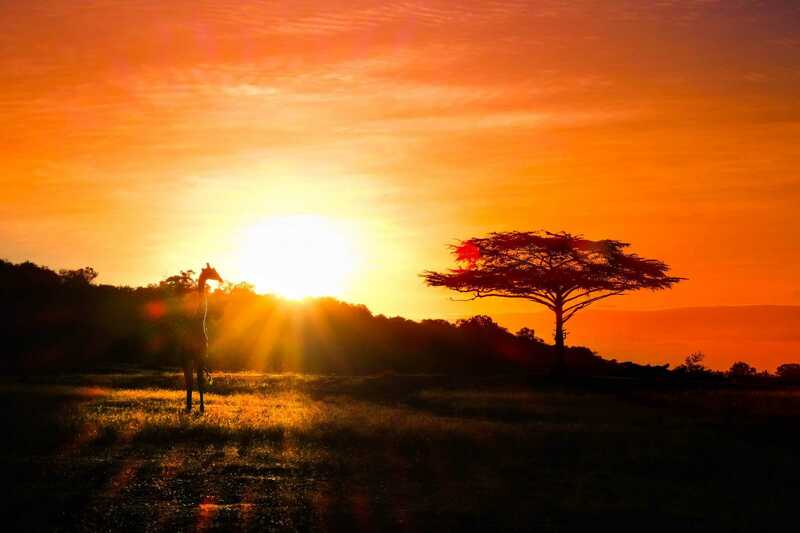 It is the country that has become synonymous with the Serengeti, Mount Kilimanjaro, and Zanzibar. People from all over the world flock to Tanzania to have a safari and live out their “Lion King” moments in some of the best national parks in the world. The country is staggeringly beautiful, populated by a warm Swahili culture, and home to some of the best wildlife on this planet. There are plenty of things to see and do in the country and you don’t have to choose between beautiful beaches, unique wildlife, and vast mountain landscapes. Oh no – you can have it all! Languages Spoken: Swahili is the official language of Tanzania while Arabic is widely understood on Zanzibar. In swahili “Jumbo,” or “Mumbo” means hello. “Habari” means how are you and “Asante Sana” means thank you. 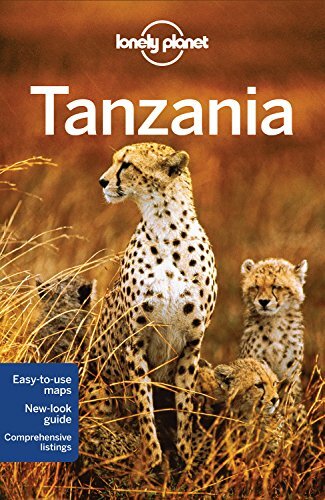 Visa: Most nationalities need a visa to enter Tanzania, which is $50 for a three-month single entry paid in USD and can be obtained at the border. If you are a US Citizen, the visa is $100 USD for a three-month multiple-entry visa. Weather: There are two seasons in Tanzania – dry and wet. The wet season brings long rains falling from March to May. June-November is the dry season during this time low lying areas are hot and humid. What to Pack: If you’re going on safari make you’re wearing the right safari clothes, with a great safari hat, a good pair of safari boots, and at least one jacket as it can get very cold at night. If you’re heading to the coast you’ll want a bathing suit. Stay Connected: Vodacom and Airtel are the service providers on the mainland. Holatel is the most widely used in Zanzibar. Data is cheap in Tanzania you can read more about data & internet in Africa. Water: The water in Tanzania is not safe to drink. Bottled water is available for purchase for cheap. Camping is a fantastic experience in Tanzania and is great for budget travelers. There are a plethora of campsites around Western part of the country and along the coast. The further east towards Rwanda you get the more scarce the accommodation options become. The west of the country is wild, with little infrastructure! If you’re on a road trip and heading to the west like we did, prepare to be self-sufficient and learn life-saving skills! Another option is asking local village chiefs if you can camp out in their village for a few thousand shillings – The West also presents a lot of options for wild camping. There are private guesthouses and rooms in many Tanzanian cities. Booking sites and Airbnb’s are not a great point of reference outside of Dar Es Salaam and Zanzibar. If you are road tripping yourself consider calling ahead or just showing up at the destination outside of Dar and Zanzibar. Along the coast and on Zanzibar you’ll be able to find awesome beach bungalows at a reasonable price. Air conditioning is a luxury and usually costs more. The coast gets humid as heck so it may be worth paying for it so you can sleep comfortably. There are many luxurious places to stay in Africa and Tanzania has no shortage of those. Safari companies like Nomad Tanzania provide luxury tents in African parks like the Serengeti, Ruaha, The Selous, and Mahale. These lodges are usually all-inclusive, located deep in quiet areas of parks, and provide top-notch safari activities with great guides. They’re once in a lifetime experience we’re fortunate enough to have enjoyed. Just don’t plan on a cheap holiday as many costs well over a $1000 a night plus require a charted bush flight to reach in a reasonable amount of time. The two major airports are Julius Nyerere International Airport in Dar Es Salaam and Kilimanjaro International Airport in Moshi. The majority of intercontinental flights arrive in Dar Es Salaam. The North is the most popular area for tourists with Mount Kilimanjaro and the Serengeti so a popular route is to fly into Nairobi followed by a short flight to Moshi or Arusha. For those arriving via land, the two most popular border posts are the Kenyan/Tanzanian Border post at Namagana connecting Arusha with Nairobi and Tunduma connecting Zambia with Mbeya in the South. Be prepared African border crossings are notoriously chaotic places! We also crossed from Tanzania to Rwanda in the west, but only recommend that for seasoned travelers as the road system to the border is long and rough. If you have a sense of adventure and a plethora of time then taking local buses around Tanzania is a great experience. You can get around the country for local prices i.e sometimes less than one dollar to five. Most major towns and cities have a bus stop or central market area and it’s pretty straightforward to catch a bus. The larger cities have intercity buses that operate on some semblance of a timetable – wow! 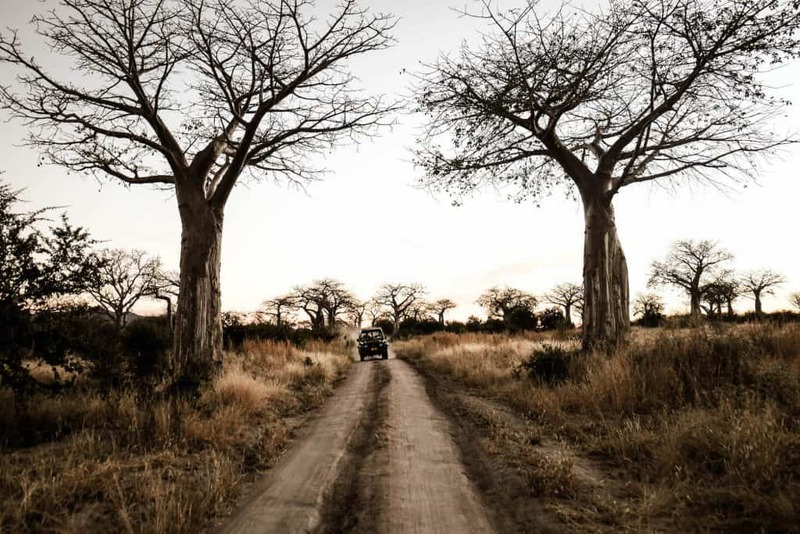 It’s possible to rent a car in Arusha or Dar Es Salaam, but if you want to get to anywhere interesting you’ll need to get a four-wheel drive vehicle, and that can get expensive. The roads in Tanzania aren’t great and police corruption is a common problem so it’s best to have experience driving in developing nations and how to handle police in Africa. When dealing with the police we’ve found it’s best to be respectful, light natured, weary, and strong. Parks like the Serengeti, The Selous, and Ruaha National Park are really rough on vehicles. The best way to get to Zanzibar is via ferry. The main ferry company to take from Dar Es Salaam to Zanzibar is Azam Marine. When purchasing your tickets there will be 300 men outside the terminal offering to sell you tickets – do not trust them – their tickets are fake or overpriced. Only purchase your ferry ticket from the indoor booth. There are no credit card machines so be prepared to pay in Tanzanian Shilling or USD. – economy tickets cost around $35 a person. Large cities like Mbeya, Dar Es Salaam, Arusha, Moshi, Dodoma, and Iringa will have western-style grocery stores. However, the only Checkers we found was in the capital. Groceries are cheap but your best bet for produce is to buy fruits and veg from local markets. Not only are you getting it right from the source, but it’s cheaper and you are helping the local people feed their families. You’ll be able to get all the seafood you can get your hands on along the coast. Curries, shrimp, and crab can all be had for less than $10! Some other famous Tanzanian dishes that you will be able to get are Nyama Choma, which is grilled meat, Mandazi, which is very similar to a doughnut, and Chips Mayai, which is chips cooked in an omelet. All of that can be had for around 2,000 TZS, or $1. Hard liquor is available at the grocery store. We picked up three bottles of Bombay Sapphire for $13 each in Dar Es Salaam. Beer at a local bar will run you about a $1. And don’t forget about coffee! Tanzania has a number of great coffee plantations but it’s mainly for export and coffee roasters are few and far between. Tanzania is the Africa you’ve always dreamed of – wide open plains, spectacular sunrises and sunsets, and superb wildlife – what’s not to love? The vast majority of safari goes and tourists head to the Northern Circuit for safari. The circuit is comprised of the Serengeti, Tarangire, Lake Manyara and the Ngorongoro Crater. All of these areas are amazing for safari and wildlife viewing. Other parks located in the South, the Selous and Ruaha, are more inaccessible which means they get far fewer tourists. If you want to get really out there I suggest doing Tanzania’s Western Circuit which is Mahale Mountain National Park and Katavi. Six miles off the Tanzanian coast lies a small sandbar only accessible during low tide. This is one of the most beautiful islands along along the coastline of Tanzania. White sand spills across the top of a large coral reef that sits amidst a myriad of blues. For $45 USD guests can catch a ride out to the island to spend the day snorkeling, lounging, and have a picnic on the remote sand bank. You can read more about our experience on the coast of Tanzania. It’s hard to mention Tanzania without bringing up Kilimanjaro. Africa’s highest peak is a popular spot for climbers (introductory to experienced). One of the most popular things to do in the country with over 50,000 people stepping foot on the mountain per year. Note that you cannot climb Kilimanjaro by yourself – you must go with a licensed guide. It is the rule and contrary to what many people believe, tourists die every year hiking Kili. The average cost of the climb ranges from $2000-$4000 USD. Of course, you can get cheaper, but the cheaper the trek generally the les reputable. Budget operators usually practice unsafe techniques and pay their staff horribly. One of the best safari experiences in Africa has to be a balloon safari. While it is not a cheap or a “local” experience it is without a doubt a once in a lifetime one. Drifting above the plains, forests, and rivers of the Serengeti feels like a dream. There is no turbulence and no loud motor – just you and your temporary balloon drifting over wild elephants, lions, and giraffe. The Usambara Mountains are in Northeastern Tanzania and are a great region to explore. Hiking around here provides breathtaking vires that make you feel as if you are on top of the world! We suggest checking out the Irente View Farm for an amazing spread of lunch or place to stay for the night (Rooms and Campsites). You can go chimp trekking in Rwanda and Uganda, but did you know that Tanzania also has a healthy chimp population? You’ll find them on the shores of Lake Tanganyika in the Mahale Mountains. This is a remote part of not just Tanzania, but the world. Getting out here won’t be cheap or easy, but it will be well worth it. There are a plethora of places to visit and things to do in Zanzibar. The East African island packs a whole lot of punch for things to do and experience. For those looking to have an active holiday in Zanzibar a popular thing to do is go to Paje Beach and Kitesurf. There are many beginners and you can easily hire out a kiteboard with lessons for less than $100. While many of national parks in Tazania are tightly controlled on bush walks you are still allowed to go walking on a set trail in Ruaha and guides are given free reign in the Selous game reserve. Going on a bush walk has to be one of the most thrilling experiences and a chance to connect with the bush that is missed when riding in a truck. The MV Liemba is a freight and passenger ferry that runs along the eastern side of Lake Tanganyika. The route goes from Kigoma in Tanzania to Mpulungu in Zambia, with many stops between. Liemba is the name of Lake Tanganyika in Swahili. Built for the Imperial German Navy, she is the only one of their vessels still in service and the oldest passenger ferry still sailing. We haven’t done the journey yet, but hope to do so in the next few years before the boat if officially retired.